Many people say that decaffeinated coffee isn’t real coffee and is subpar to caffeinated drinks. These people obviously haven’t tried our Decaf Blend. 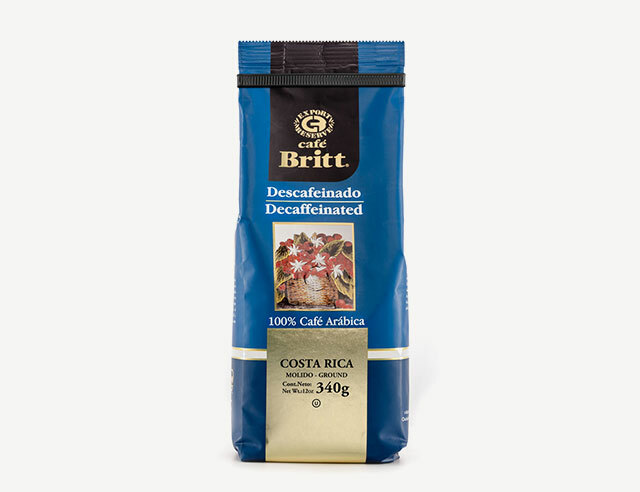 Britt’s decaf coffee is a special “Mezcla de la Casa” or “House Blend.” This means it’s a mix of the hard, acidic beans of the Central Valley and the dense, full-bodied beans of the Western Valley. Together these beans create a completely unique coffee drinking experience. 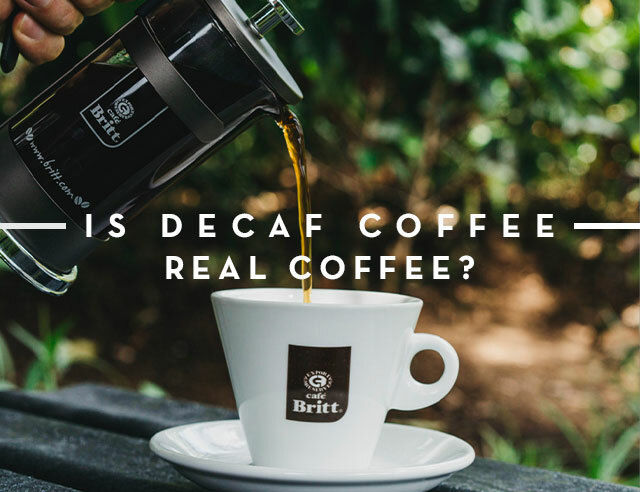 A lot of people believe there is no such thing as delicious, refreshing decaf coffee, but at Britt, it’s simply reality. 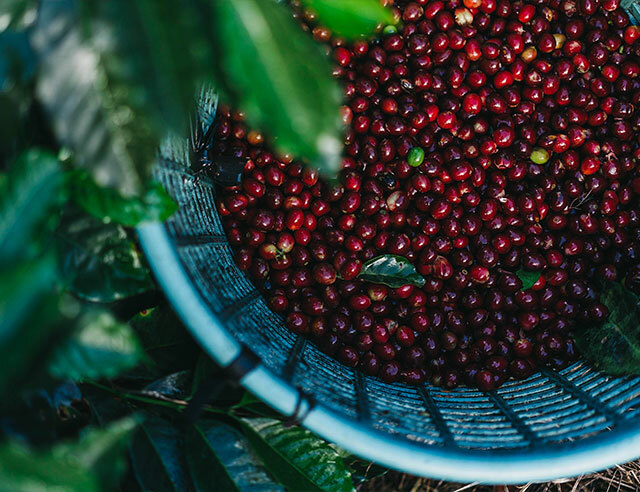 Our decaffeinated blends are grown locally and roasted by the world’s top experts, who preserve all the delicious flavors Costa Rica has to offer. If you’re pregnant, or are just sensitive to caffeine, you do not need to give up coffee. Many companies deliver “decaf” coffees that actually have similar caffeine levels to regular blends, but at Britt our complex separation process removes 99 percent of the caffeine. 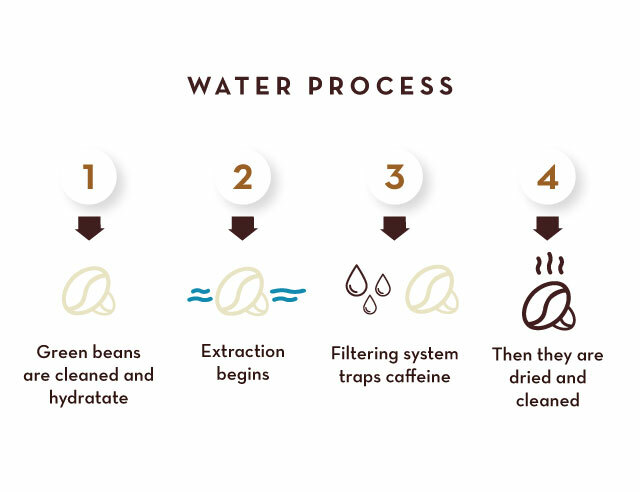 We use a customized water method to gently remove the caffeine from our beans, but take extra care to keep the bean’s flavors intact. We do this by soaking the beans in boiling water and then moving them to a separate water tank to extract as much of the caffeine as possible. To keep the flavor we then move the beans back into the original water tank again so they can soak up all the oils and flavors. Our Decaf Blend is anything but blend. The dark roast used to coax the intense flavors out of the decaffeinated beans leads to a mild blend with just a hint of acidity. The unique aroma of seeds and dry leaves is complemented by the flavor notes of honey and clove. It’s the perfect drink for a refreshing morning, a quiet evening, or anything in between.